This month's presentation will feature Graeme Evans’ stunning new 1973 911 2.8RSR Replica, known by the build team as the “3.8RSR Project”. Like the original Porsche Factory RSR’s, this car is a no compromise, light weight track focused car. As her nick-name suggests, she is powered by a rebuilt and upgraded 3.8litre engine from a 1995 993 Porsche that produces more power & torque than the highly tuned original 2.8litre RSR engines. Unlike the factory original ’73 RSR’s this car is also built to ‘show' quality. Nothing has been overlooked in the restoration and building of this car, which was literally completed just 2 weeks ago by Autohaus Hamilton. 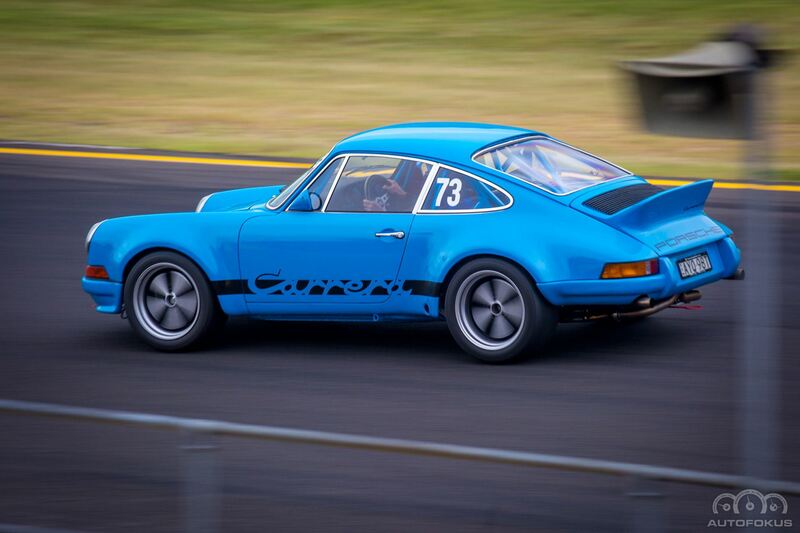 After running her in, she has already had her first shakedown at Sydney Motorsport Park at our Supersprint #1 where she performed brilliantly and produced big smiles for all involved. Graeme and Grant Geelan (owner of Autohaus Hamilton) will present the 3.8RSR Project and will will take you through how they went about turning a dream into reality, including some of the challenges along the way, and early some insights into what she's like to drive. See you on Tuesday at Porsche Centre South Sydney.